Bryn Mawr Grand Opening Today! 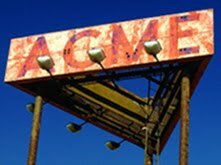 The first new Acme in nearly 4 years opens today! While Acme Style won't be covering the store for another week or two, you can take an extensive look inside thanks to the Haverford-Havertown Patch. The decor package is the same that has been used in recent Acme remodels but certainly looks a bit sharper in this brand new store. The pictures make the store look huge even though it's only 13,000 square feet larger than the tiny store that it replaced. Be sure to take a look at the checkouts! They appear to be angled to increase floor space in the front of the store. Nice to see custom made checkout stand lights instead of those horrible generic ones used for adverting random products. Have to say... this new store is quite impressive looking. To visit the old Bryn Mawr store, please click here.